GCHQ has finally released the solution to their head spinning Xmas Puzzle, after all, the participants failed to reach the final answer. 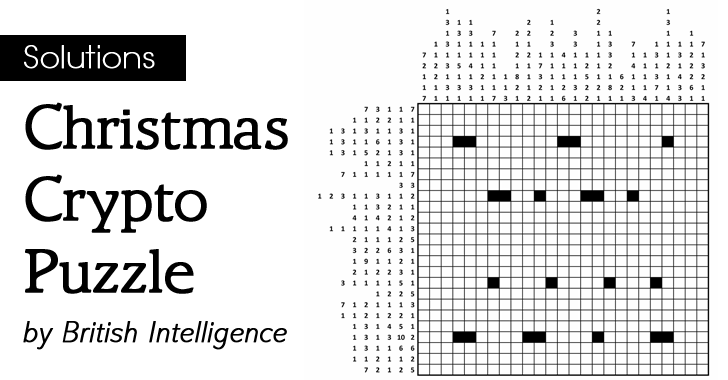 GCHQ had released a crypto puzzle, dubbed Xmas Puzzle, on 9th December in the form of a Christmas Card that went viral online soon after its release. Nearly 600,000 people shot a "Go" for the challenge since early December, but only 30,000 had made it reach the final stage. 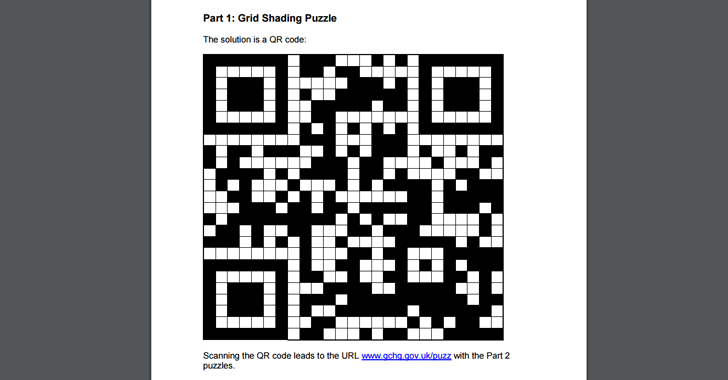 The puzzle got popped up with a grid-shading Nonogram that resulted in the formation of a QR Code containing a hint to unlock the next level challenges. Xmas Puzzle prolonged to various topics like Web Link Maze, Word & Numeric Puzzle, Graph Theory and other Cipher Dilemmas. Some of the questions also intrigued on entertaining topics like Lord of the Rings, Ducks, Chess, French, and Semaphores. Who Created Crypto ‘Xmas Puzzle’? This brainstorming puzzle was created by a small team of GCHQ Cryptographers under the GCHQ director Robert Hannigan. The given deadline to the puzzle resolvers was January 31st. Several improvements to resolve this puzzle had created a buzz over various online forums like Reddit, which was a healthy approach to such puzzles to get solved jointly. Xmas Puzzle helped to broaden the crypto levels of each and bolster to improve their capabilities for the problem-solving methodologies. David MacBryan, 41, from Edinburgh, Wim Hulpia, 40, from Lovendegem in Belgium and US-born Kelley Kirklin, 54, from London, came closest to the fiendish puzzle game. These three participants have been considered winners by the GCHQ and will be rewarded with a GCHQ Paperweight and a copy of Bletchley Park codebreaker Alan Turing's biography, signed with a personal message from GCHQ Director. However, GCHQ announced that any of the participants did not completely solve Xmas Puzzle. Hence, it released the full answer to it. "I thought I had solved it, but a news report came out a few days ago saying nobody had … so I went back and had another look and figured out what I missed, but I was too late at that point. But it seems that everyone else missed it as well, and I was joint closest," David MacBryan told the Guardian. GCHQ said the Xmas puzzle was not a recruitment ploy, which was initially believed, but the agency said the winners were welcome to apply for jobs. The solution to the puzzle, including explanations from the puzzle-setters, is now available for you, so you can now check how many you managed to work out.